The Buick Enclave got an important refresh for the 2014 year, yet updates for the 2015 Buick Enclave model are quite extensive. For starters, the Enclave gets four new exterior colors, including Crimson Red Tintocat, Dark Chocolate Metallic, Dark Sapphire Blue Metallic, and Midnight Amethyst Metallic. All but the Dark Sapphire Blue Metallic come at an extra charge. Also added to the Enclave is an Ebony interior color combo with perforated leather-appointed seating and Dark Plum interior accents. The Enclave also picks up a heated steering wheel, illuminated door sill plates, and 20-inch ultra bright blade silver, machined painted aluminum wheels. For the driver’s convenience, the USB port was shifted down from the upper instrument panel to the center console. In addition, the 6.5-inch IntelliLink system has been made standard on the 1SN Premium equipment groups. The Bose Sound System with Bose performance-enhanced premium 10-speaker system, however, has been removed from the 1SD Convenience equipment group. 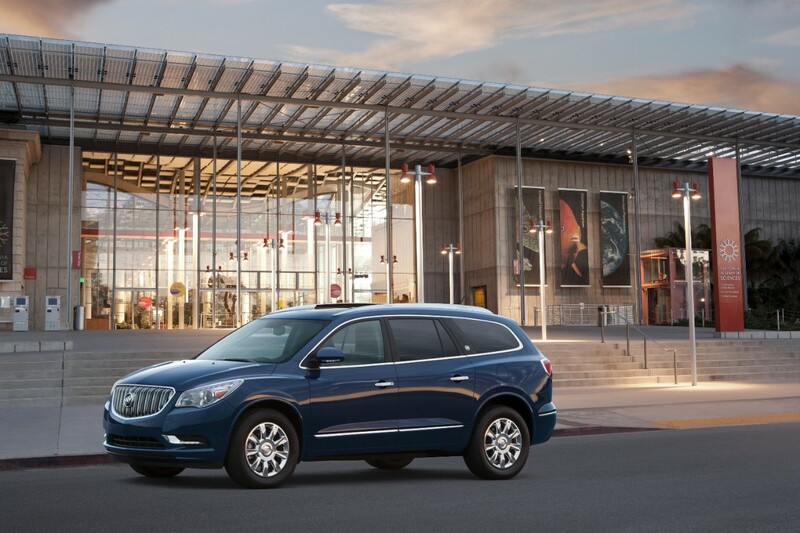 The Enclave is the only Buick in the lineup not to receive OnStar 4G LTE but will receive the technology for the 2016 model year. Now missing from the Enclave are the Cocoa perforated leather seating surfaces, 1SD Convenience equipment group, and HD Radio. Buick is also doing away with four colors: Atlantis Blue Metallic, Crystal Red Tintcoat, Cyber Gray Metallic, and Mocha Bronze Metallic. Three LPO-level wheel choices have also vanished, along with the LPO rear seat DVD-based entertainment system, LPO noise cancelling headphones, and the 17-inch compact aluminum spare wheel and tire.